I have never been one to freeze things…I mean, if you make too much in advance, thaw and reheat it, you may as well just buy a TV dinner. That said, there are a few things that actually benefit from the deep chill. Pie crusts and biscuits to be precise. 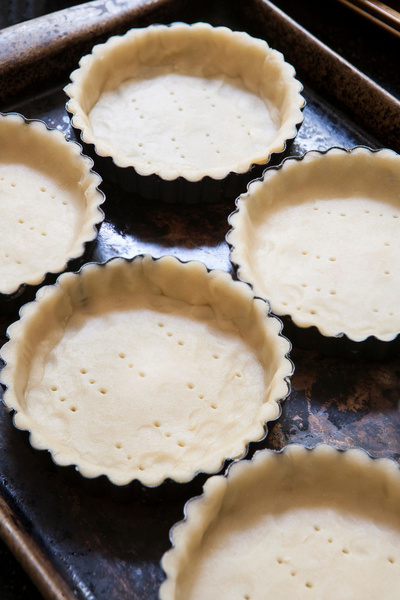 Go ahead and make your doughs now, roll them out and freeze them right in the pie or tart pan. If you are using a top crust, cut your lattice strips, decorative elements or full topper, and freeze it flat on a sheet pan. Just make sure that anything you freeze is well wrapped. Use plastic wrap and wrap in both directions to ensure that it is fully sealed and protected. Bottom crusts and biscuits can be baked frozen. Top crusts should be thawed just enough to be pliable. Frozen dough maintains its shape better and shrinks less during baking. Brush it with a light egg wash to help it brown and you’re good to go. It doesn’t take long to make crusts, so get them done now and save time and mess on the big day. This entry was posted on November 13, 2017 at 10:44 am and is filed under Food. You can follow any responses to this entry through the RSS 2.0 feed. You can leave a response, or trackback from your own site.